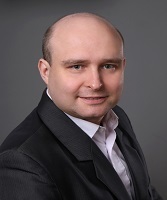 Marek Matejun is an Associate Professor in the Department of Management and also holds the position of Vice-Dean of Science and International Cooperation at the Faculty of Management and Production Engineering, Lodz University of Technology, Poland. He received his Ph.D. from Lodz University of Technology (2006) and D.Sc. (Habilitation) from the University of Lodz, Poland (2016), both scientific degrees in management sciences. His research interests focus on entrepreneurship and small business management, modern concepts and methods of management, strategic management as well as a research methodology in management sciences. He specializes in exploiting the entrepreneurial opportunities and potential of the environment in managing the development of SME sector companies, taking up business activity and entrepreneurial education. Currently, he is the supervisor of research project “Opportunity based approach to innovation management in small and medium-sized enterprises”, financed from National Science Center, Poland and conducted in scientific cooperation with the College of Entrepreneurship and Law (Czech Republic). He is the author or co-author of over 170 scientific publications. He has participated in many research projects and also in research fellowships at universities in China (2017), the United Kingdom (2016), Belgium (2013) and the Czech Republic (2013). He is an associate editor in the World Journal of Management (Australia), PEOPLE: International Journal of Social Sciences (India) and Economic Sciences Review (Poland). He closely cooperates with Eurasia Research and holds the position of the Honorary President of Social Science and Humanities Research Association (SSHRA). He is also a member of the Academy of Management (USA) and the Polish Economic Society (Poland). He gave keynote speeches at international conferences in Paris (2017) and London (2018). He lectures and holds academic tutorials on the fundamentals of management, small business management and research methodology at Lodz University of Technology. He is also the supervisor of the “People – Business – Technologies” students’ research society. For his research activity he has earned many Polish and international scientific awards.